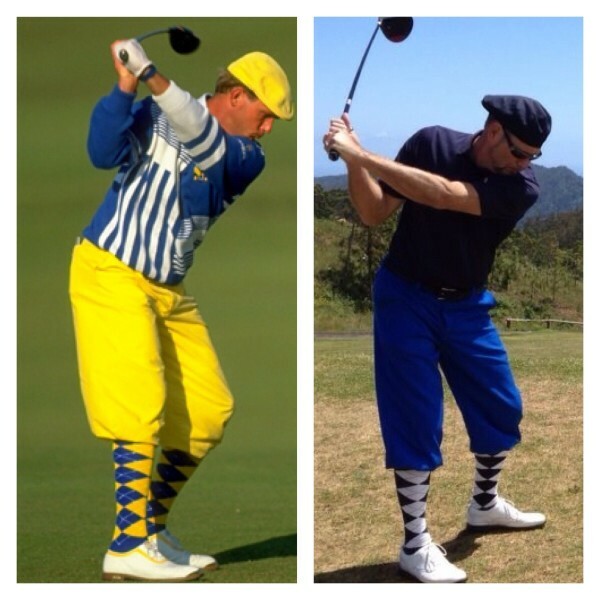 Payne Stewart – NewYorkDutch Knickerbocker Co.
As my boss NYD Knickerbocker was playing different golf courses around the globe, he often would be adressed as “hi Payne” or “hello Mr.Stewart”. This name didnt ring a bell and was wondering who this person was. So he googled this name and discovered the legendary Payne Stewart. He found out that Payne wore his plus4’s for the exact same reason as he is now. So he is very proud when other golfers call him Payne Stewart. Although his golf game is not even close to that of Payne Stewart, he loves the smiles and the positive energy. Thumbs up from the distance and always ready for a chat and a photo on or off the golf course.